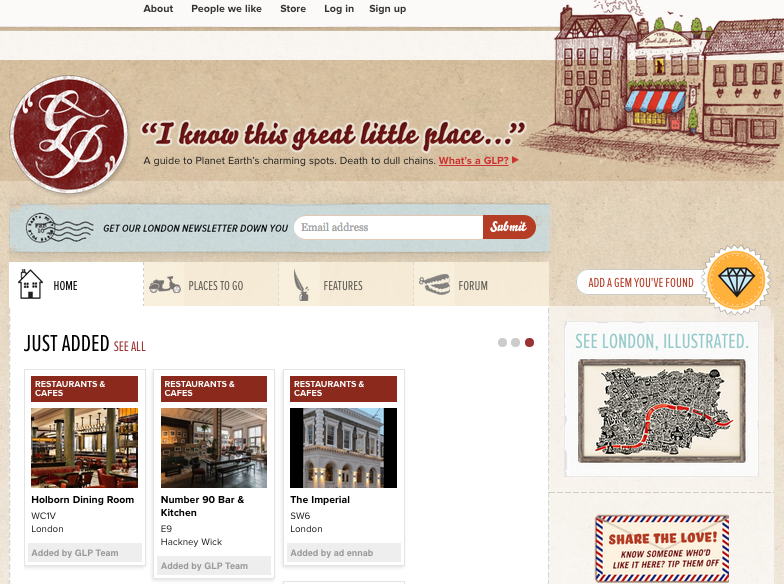 Great Little Place is the perfect website to those looking for something different. Tired of the Wetherspoon’s and Pizza Huts of this world? Then explore GLP and you’ll soon be finding a new drinking hole as well as a feeding ground for you and all your mates. Go back to our Events and Gigs page for all the best things to do in the capital.